Chasing Davies: Best of Shopbop's Sale Event! 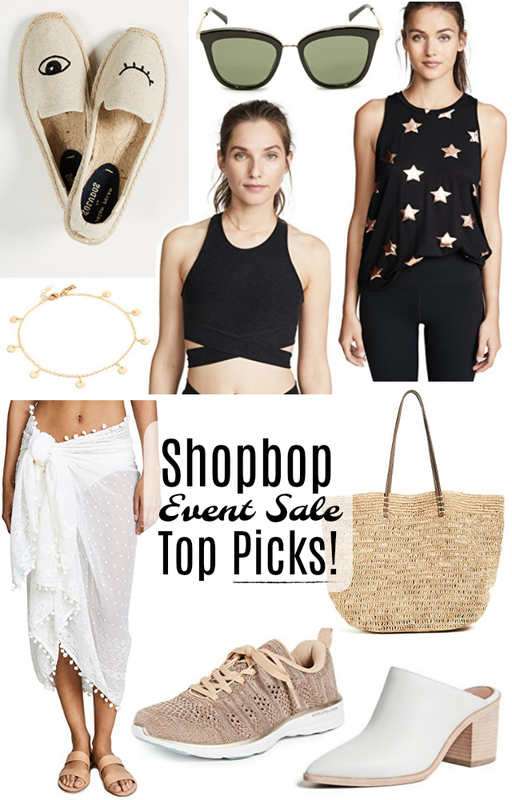 Best of Shopbop's Sale Event! There are a few sales I wait for each year, and this Shopbop 4-day sale event is one of them! Use code EVENT18 to get 20% off your order under $500, and 25% off your order over $500! Hurry, the good stuff goes fast - sale event ends at the end of the day on 4/14! Here are my top picks from the sale! I'm obsessed with these sneakers and have been hearing GREAT things about this brand. APL are highly reviewed for running and training with cushioning impact and light weight, and were on Oprah's 2016 Favorite Things list! Just make sure to order a half size up (maybe even a full size if you are in between sizes). My long-time favorite workout and running shoe is the Adidas Ultra Boost, and there are a few avail as part of this sale event, like these cool white ones! Unique sports bras and athletic clothes have become a really fun way to get me to the gym these days! Styling an outfit for the day doesn't stop with the gym! A few of my favorite picks: this wrap around sports bra/bralette, star workout tank, long fleece hoodie, high wasted jet black leggings. No summer vacation is complete without a hat! This one is so cute. A tote bag you can take to the pool/beach, but also to brunch, lunch and shopping! A backpack is the perfect travel carry on bag - and this one is by a well-known travel brand, and cute enough for everyday wear! Nothing says summer more than a delicate anklet... yes, they're back! These sweet espadrilles are perfect for summer vacations. Cute swimsuit cover up comes in three colors. Perfect white shoes for work. Day time to pool/beach time with these cute slides. Causal white sneakers for day. My white shoe of choice - white block heel mules!